Art is no longer confined to paintings and sculpture. Over the past decade or so, many creatives have decided to go digital. Whether you’re a graphic designer, digital painter, or you hand-create art before scanning it into your computer, the chances are that you’ll want to print your work on a fairly regular basis. If you’re tired of shelling out to get artwork printed by an external company, or if your basic printer just isn’t doing a good enough job anymore, it might be time to invest in a specialist printer. With so many models on the market, it’s important to work out your exact requirements so you can choose the printer (even a 3D printer) that’s perfect for your own specific requirements. Budget – before you buy you need to decide what you are willing to pay. When considering cost, think about the initial price, but also the cost of inks and media to print on. You’ll need to establish an ideal running cost as well your first investment. Laser or inkjet – laser printers are faster and better for text, and also do a better job of high-volume print jobs. They’re also cheaper for graphically simple documents and drafts, when considered on a page by page basis. Inkjet printers are better for complex image-based designs and are capable of printing on various media. They also tend to be smaller and lighter. Quality – budget printers now offer a minimum resolution of 600 dots per inch (dpi). However, if you’re looking at buying a higher end model, you can expect to see a much higher number. As a general rule, the dpi resolution is a great indicator of the quality you can expect. Media size – if you hardly ever print on media over A4 size, there’s no point in splashing out on a printer that can print larger images. If you do tend to print larger images, ensure that your chosen model is capable of doing so. Media type – as we mentioned above, if you want to print on various media then you’ll need to buy an inkjet printer. However, inkjets will differ in the materials that they can handle, so always double check that your preferred model has the capability to handle heavier grade or textured media if you prefer it to standard grade paper. Connectivity – think about the device that you will you want to print from, and check whether your chosen printer supports this. Consider whether you’ll need a USB port and Wi-Fi, and whether you’ll want to print directly from a PictBridge camera or memory card. Size - specialist printers for art and design can be bigger than general printers, and they might need space behind them if they have special media trays, so consider what space you have available before you commit to buying. If you’re looking for a fantastic one stop professional printing solution for your artwork, Canon’s PIXMA Pro9000 Mark II Inkjet printer is the best option. There’s pretty much no output that this printer can’t handle, from borderless and grayscale images, to photo and document printing. Whether you’re a graphic designer, print maker, or digital painter, this printer will give you physical copies of your work that you’ll be thrilled with. A maximum resolution of 4,800 x 2,400 dpi delivers crisp high-quality prints, and photos can be printed in less than two minutes which is great if you have a lot of images to get through but don’t want to spend all day chained to your desk. This inkjet printer can handle paper sizes of up to 13 x 19 inches, which is ideal if you need to print poster size images. It’s also capable of handling smaller paper sizes right down to 4 x 6 inches, so unless you’re going large scale you’ll be covered. Fine art paper is also supported, which is great news for artists that prefer to vary the media that they work with. Canon’s Full-photolithography Inkjet Nozzle Engineering (FINE) print head technology precisely fires tiny ink droplets onto your page, ensuring that you can see the most intricate details in your artwork. The eight-color individual ink system adds to this level of professionalism, by ensuring that colors are reproduced exactly as you intended them to be. Connectivity isn’t this printer’s strong point, but USB 2.0 at least keeps transfers nice and fast. If you’re not planning to print from your laptop or PC, PictBridge technology is handy for printing directly from a compatible smartphone or camera. Canon has packed in a few smart features that artists are sure to love. Our favorite is Canon’s Ambient Light Correction, which means that you can print your images in color tones that suit the lighting conditions of the places that they will be viewed. If your printouts are for an exhibition, you can ensure that they are seen as you intended them to be, rather than having ambient lighting skew the tones in your images. For a professional printer the 32.4 lbs. weight isn’t too bad, and the 26 x 13.9 x 7.6 inch dimensions make it compact enough for a home office. This printer is relatively cheap for its impressive output, and other than the fact that it isn’t wireless, we have no complaints with this powerhouse from Canon. Epson’s SureColor P800 Inkjet printer is a close runner up for the title of best all-rounder. Their UltraChrome HD ink technology is known to be one of the best in the market, and eight separate inks guarantee brilliant color reproduction. The P800 can handle a wide variety of paper, including poster boards and photo paper, which is ideal if you like to mix up your media. Connectivity is superior, in that you can print wireless, but with a maximum resolution of 2,880 x 1440 dpi and a price tag that is much higher than that of the Canon, we had to demote it to second place. Canon tops our secondary category with its pocket-friendly Canon Pixma iP8720 Inkjet printer. If you can’t quite justify paying for a top of the range printer, but you still want your art to look great, this is the printer for you. Despite the low price, you can still expect print shop results from this model, and paying less doesn’t mean that you’re sacrificing quality. The 9,600 x 2400 dpi resolution delivers a level of detail that is extremely impressive for a low budget printer. The six-color ink system includes gray ink, which is ideal if you sometimes print in monochrome rather than color. There are a variety of print sizes available, and at 13 x 19 inches for the largest print available, you’ll be covered for pretty much all your projects. There is a fair amount of flexibility when it comes to media too, and this printer can handle plain paper, photo paper, envelopes and CDs. The single tray can hold up to 150 sheets of plain paper or 20 sheets of photo paper, which is very useful if you tend to print in batches. Connectivity is impressive for a lower range model, and AirPrint, Google Cloud Print and the Canon PRINT app all make it possible to print wirelessly from compatible mobile devices. This compact printer is idea for home use, and it won’t take up too much space at 23.3 x 13.1 x 6.3 inches. The 18.6 lbs. weight makes it relatively portable, which is handy if you want to use it at home and in your studio. You don’t get the type of media flexibility that is expected from higher-end models, and there are less inks than in Canon’s best all-rounder, but for the price this really is an incredible bit of kit. Epson comes second to Canon again with its Artisan 1430 Wireless Color Wide-Format Inkjet printer. The maximum print size, inks, supported media and connectivity are all equal to its rival from Canon, but it can be a little slow to print and usability can be a little frustrating at times (when feeding in new paper, for example). The resolution is also lower at 5,760 x 1440 dpi, which we must say is still very impressive for a cheaper model like this Epson. If you’re just getting in to creating art, or you’re more of a hobbyist than a pro, even the budget models above might feel like too much of an investment. If that’s the case, an everyday model with a few art-focused features will do the job perfectly well, and our pick of the bunch is HP’s Envy 4520 All-in-One printer. This model will cover all of your home office needs, and is capable of copying and scanning as well as printing. A maximum resolution of 4,800 x 1,200 dpi is ample for drafts and final prints, and will give you enough detail in your images without being too costly on inks. Speaking of inks, this printer uses the standard dye-based black and tri-color cartridges, which are easy to find and cheap to buy. Paper sizes of up to 8.5 x 14 inches can be printed on, and both photo and brochure paper are supported, as well as standard plain paper. Speed is of the essence with everyday printers, and this HP can have its first color page ready in 20 seconds. This drops to 18 seconds for monochrome prints. Connectivity is fairly comprehensive, and you can print wirelessly from your compatible mobile devices via HP’s ePrint app amongst other options. If you prefer to be wired in, there’s also a high-speed USB 2.0 port. At just 11.93 lbs. and 17.52 x 14.45 x 5.04 inches, this printer can be portable if you need it to be. Consider this HP if you’re planning on printing up to 1000 pages per month, or if you need a secondary printer on top of your pro-grade model for sketches and drafts. This printer isn’t going to give you professional results, but it’s a great price, and that’s not really why you’d be buying it anyway. If you’ve got a small business or workgroup and you need an everyday printer for drafts, sketches and storyboards, Brother’s HLL8360CDW Laser printer is our pick. Ideal for high volumes at a low cost, this laser printer is capable of up to 33 pages per minute. A 2,400 x 600 dpi is lower than the rest of the printers on this list, but you don’t need pin sharp detail for drafts. Connectivity is impressive for a workhorse like this printer and there are several wireless printing options. This model will serve you extremely well for your day to day printing needs. 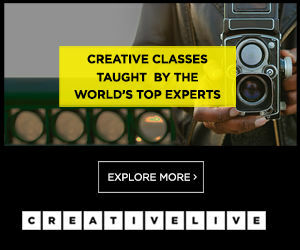 Best for photography-based art. 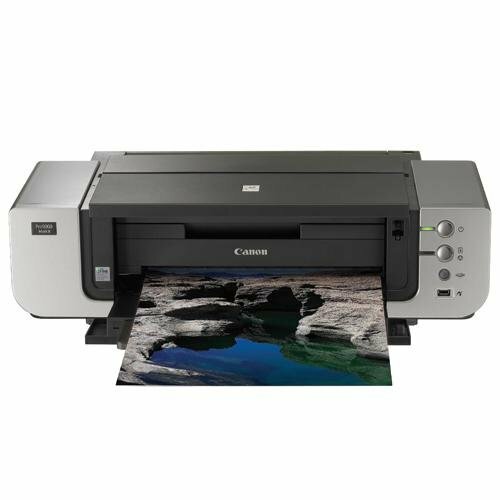 If you’re looking for a specialist printer for photography based art, Canon’s PIXMA Pro-10 Wireless Inkjet printer is a great choice. If you’re just getting into photography and art, the price might be a little off-putting but we think that this model is worth every penny. A maximum resolution of 4,800 x 2,400 dpi is plenty for professionals, and the new 10-color LUCIA Chroma Optimizer ink system delivers beautifully crisp, colorful, and glossy images. Output is possible at up to 13 x 19 inches, which is perfect if you want to print out larger versions of your images for posters or banners. The paper tray can accommodate 120 sheets of plain paper, or 20 sheets of thicker stock photo paper, which again will help you to get through batches of printing nice and quickly without having to reload the tray too often. And, if you want to print on particularly heavy stock photo paper, the single sheet rear feed tray has got you covered. Connectivity includes Wi-Fi and AirPrint, the latter of which is useful if you want to print from an Apple device. There’s also a high-speed USB port, so you can plug a memory stick directly into the printer without the need for a computer. This model is a pretty hefty 43 lbs. and it measures in at 27.2 x 15.2 x 8.5 inches so will take up a bit of space. But, it packs a lot of punch into that heavy body, so the bulk can be forgiven (assuming you’ve got room for it). The dye-based inks that this Canon uses aren’t quite as resilient as pigment inkjet inks, and they are also pricier. Despite the reduced durability, Canon reassures its customers with a promise that prints will last over 100 years under proper storage conditions. Epson’s SureColor P600 Wide Format Inkjet printer is a good runner up, and it also prints up to 13 x 19 inches. In fact, in terms of connectivity, setup, output and ease of use, the two printers measure up pretty evenly. But, Canon wins this round because of its impressive dynamic range. When you’re printing in grayscale, and even when you’re not, the Pro-100 will win you over with its ability to add impact to shadows and darker areas in your images. Speaking of the best for grayscale, there are several art-focused printers available that do black and white so much better than their competitors. Our favorite is Epson’s Stylus Photo R2880 Inkjet printer. The genius of this printer is that it brings grayscale images to life by retaining every single detail. A resolution of 5,760 x 1,440 dpi is helped along by the advanced MicroPiezo print head with Advanced Meniscus Control, which means that the printer is capable of producing three different ink droplet sizes for impressive precision. A resolution of 5,760 x 1,440 dpi is helped along by the advanced MicroPiezo print head with Advanced Meniscus Control, which means that the printer is capable of producing three different ink droplet sizes for impressive precision. Nine individual inks are needed for this printer, including two different black inks for matte and gloss paper. The light black and light light black inks, which are essentially two shades of gray, are the ones that will give you the accurate shading in photos and graphics, without having to rely on using colored inks to create gray tones as other printers often have to do. Media is another selling point of this printer, as it can handle an impressive 13 x 19 inch paper size. You can also feed a roll of paper into this Epson, giving you the flexibility to print largescale designs. In terms of the type of media it can handle, you’re covered on photo and fine art paper of all levels of gloss. Connectivity isn’t going to blow you away but the two high speed USB 2.0 ports and one PictBridge port covers you for use with a computer and compatible camera and mobile devices. This Epson measures up as you’d expect for a specialist printer, at 26.9 lbs. and 24.3 x 31.4 x 16.3 inches. This might be a bit large if you don’t have a dedicated office space, but if you’re this serious about printing your art it’s likely that you will. The only significant downside of this printer is that you’ll need the separate black ink cartridges for matte and gloss paper, which can be a bit of a fiddly job. But, this is a small price to pay for its incredible grayscale performance. Canon’s imagePROGRAF PRO-1000 measures up pretty evenly with our preferred grayscale option, and in this case it’s pretty much down to your personal preference. Four dedicated monochrome inks also deliver brilliant grayscale prints, and the smart Air Feeding System provides perfectly accurate ink-placement, which ensures that your photos are consistent and of a high quality. Connectivity is superior, in that AirPrint and Wi-Fi are offered, and the only real trade-offs for choosing Canon over Epson are a lower 2,400 x 1,200 dpi resolution and a hefty 70.5 lbs. weight. Our list of printers for artists is a bit of a two horse race, and for us it’s Epson and Canon that dominate the world of pro printing. But, it’s Canon’s PIXMA Pro9000 Mark II Inkjet printer that comes out on top. The sheer flexibility of this printer is what we love most, and artists that work with different media will love that they can print everything they need to with this one model. Detail and color reproduction are second to none for a printer in this price range, and we love Canon’s FINE print head for the incredible detail that it delivers. Connectivity options are lacking on this printer, but this isn’t a model that’s designed for portability so being wired in really shouldn’t cause you any issues. The bottom line: if you’re a serious artist looking to create profession quality prints at home, Canon’s Pro9000 is unbeatable.